If this is your first trip, you'll see the following in the middle of your screen. Click "Create a Trip" to get started! 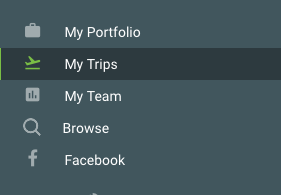 If you've already created your first trip, use the Actions drop-down menu in the upper-right corner to create another. When creating a trip, you'll be required to enter a name and select your travel dates. No worries, these can be adjusted later if your travel plans change. When viewing your trip, just go to the Actions drop-down menu and click "Edit Trip Details." 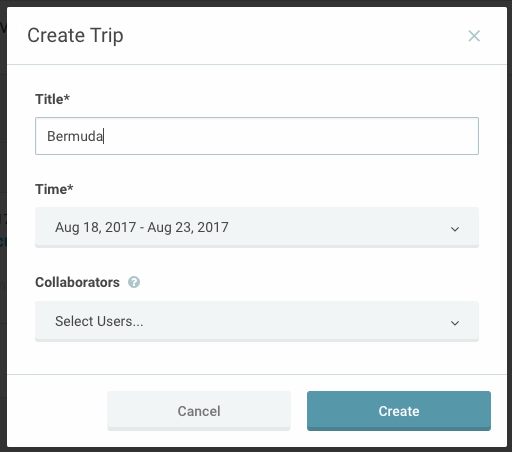 You can also choose to add collaborators on your trip - more on that here. Within your trip, there are two main components. The constituents in your Trip List and the Meeting Itinerary. Trip List - This is where you add the constituents you're interested in or already planning to meet with. 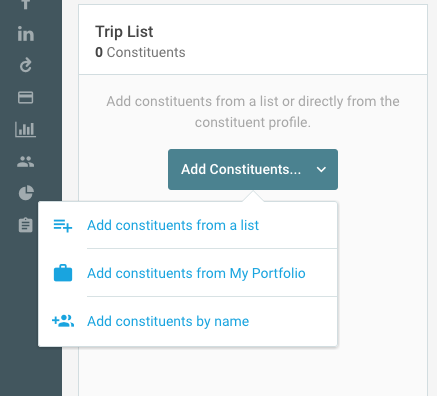 You can add constituents to your trip using a list, your portfolio, or search for them by name. Meeting Itinerary - Here you'll see the days of your trip and any meetings you've added. 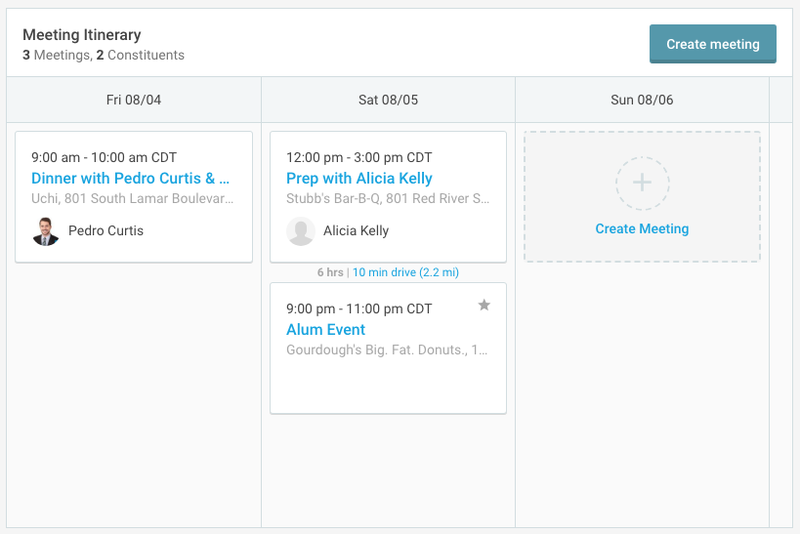 EverTrue will display the time between meetings and the approximate travel time. You can also view your trip on a map for more information like directions to and from a location. Looking for information on creating an event? Click here!